Historically, industrial RTUs have prioritised real-time access from control systems over the management of measurement data, despite the central role that high quality historical data plays in demonstrating that measurements are accurate and reliable, piecing together previous process conditions, performing mismeasurements, and predicting future performance of equipment and processes. Most RTUs also have a poor security track record and are not able to meet today’s cyber security challenges. VIA™ is a compact, DIN rail mounted embedded computer that sits alongside a flow computer or RTU, meaning it can poll at high speed without being restricted by bandwidth or other network issues. Real-time data is passed up to the enterprise network securely, enabling authorised users across the company, and authorised third parties, to access this valuable data. VIA™ automatically transforms the capabilities of legacy RTUs and flow computers, endowing them with the latest communications technology, extending their local data storage and hardening them with the latest security and encryption techniques. This approach allows existing infrastructure to be upgraded to the latest technology cost-effectively, with minimum engineering and without having to disrupt complex and critical control systems. VIA™ allows measurement data to be used in many futuristic and exciting ways. It provides a reliable conduit into big data systems so vast amounts of data can be collected from the field for detailed analysis by enterprise based expert systems. 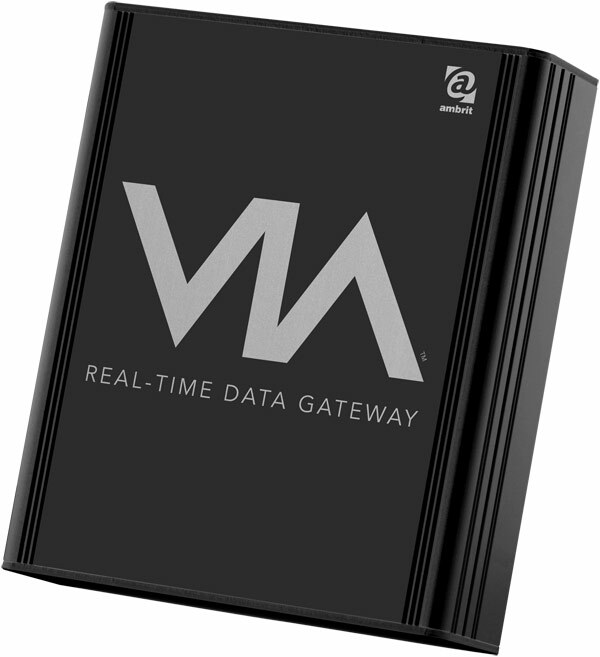 Real-time measurement data captured by VIA™ can be made available to any user on the enterprise network. All data from the flow computer is timestamped and recorded in VIA™ so every value can be individually traced. Data is encrypted and transferred back to the enterprise network via a one-way authenticated uplink. 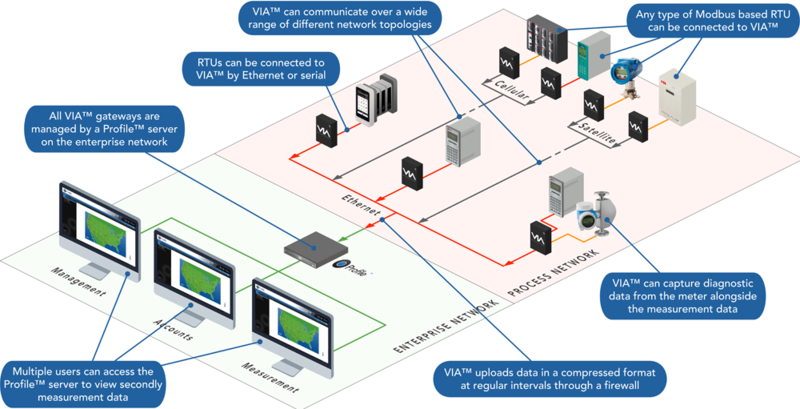 VIA™ can communicate over a wide range of different network topologies and connect to RTUs by Ethernet or serial. 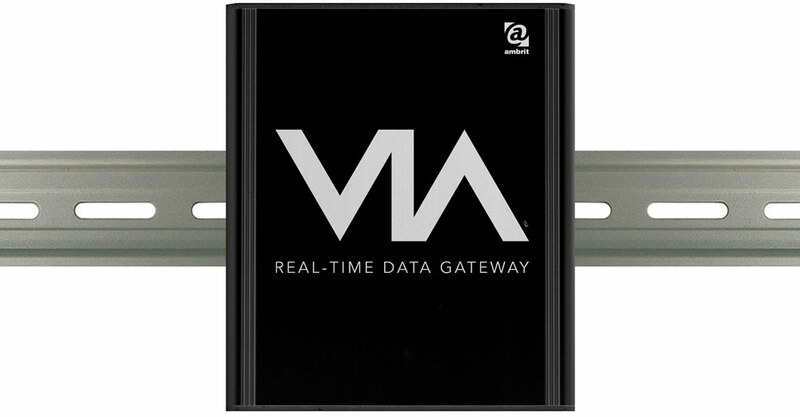 Any type of Modbus based RTU can be connected to VIA™. There is no need to replace legacy RTUs. VIA™ gateways have a unique auto-configuration setup and are managed centrally from the enterprise network.